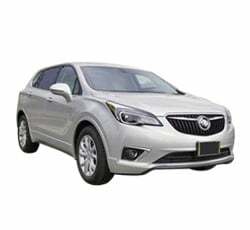 The 2019 Buick Envision stands out in the Luxury Compact SUV category as a value minded option with an elegant, refined interior. The Envision offers luxury seating for five and a quiet cabin. It also offers a peppy turbo four cylinder option and optional all wheel drive. The technology features include advanced connective services and an intuitive infotainment system. The Envision is the polished result of Buick's attention to detail and dedication to providing a truly luxurious SUV. The 2019 Buick Envision has a few changes from last year. The optional turbocharged four cylinder engine has increased performance with a higher torque rating than the 2018 offering. The exterior has been upgraded with new headlights and taillights. Some of the tech features have also been updated. The 2019 Buick Envision has been equipped with QuietTuning technology that makes the cabin quiet for the comfort of the passengers. It is equipped with active noise cancellation, acoustic laminated glass and windows, a specifically designed suspension and much more. The Envision can also be equipped with an air ionization system to remove dust and debris from the cabin. The peaceful ride can be enjoyed from premium first and second row seating with plenty of room for the passengers. The interior was specifically designed to be relaxing, drawing design elements from spas and boutique hotels. The 2019 Buick Envision features a standard eight inch touch screen, the IntelliLink infotainment system and WiFi hot spot. It also offers both Apple CarPlay and Android Auto as standard features. The IntelliLink system offers access to apps, satellite radio and Bluetooth capabilities. The 2019 Buick Envision offers Connected Services in two distinct categories. The base level is called Connected Access. 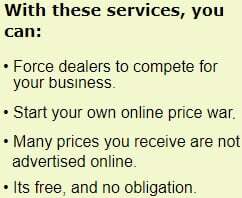 This service includes access to vehicle diagnostics as well as driving tips for better driving skills. The Remote Access Plan is also available for an extra charge. It includes the ability to start and stop the vehicle as well as lock and unlock it through the myBuick App. The myBuick mobile App can be downloaded to a mobile device or even a smart watch. Features of the app include the remote access to the vehicle's critical information. This includes fuel level, tire pressure, mileage and more. The app also features a parking reminder that will give the user detailed directions back to their Envision. The base trim level of the Envison is the Envision 1SV. It is equipped with a 197 horsepower in line four cylinder with an automatic six speed transmission. It is only available as a front wheel drive vehicle. The Envision Preferred allows the buyer to upgrade to Smart Sense All Wheel Drive. The buyer will have to get the Buick Envision Premium trim to get access to the 252 horsepower turbo charged engine. It is paired with a nine speed automatic transmission and AWD. This configuration is also available on the Envision Premium II. The Envision offers two rows of seating for up to five people. The front row can be upgraded to leather upholstery and seat cooling ventilation. The Envision features heated front seats standard at all trim levels. Heated rear seats are also available. The rear seats are adjustable both forward and back as well as reclining. They are a 60/40 split fold down seat that gives the Envision 57.3 cubic feet of cargo space. The 2019 Buick Envison offers an advanced power liftgate standard at all trim levels. The liftgate can be operated by placing a foot in an illuminated spot below the gate. The hands free liftgate is activated by sensing the keyless entry fob. The 2019 Buick Envision offers standard rear view camera and rear parking sensors. Also included with every Envision is the Teen Driver feature which allows the vehicle to be set with maximum speed and audio system volume limits. The Envision also got a perfect score on every crash test category from the National Highway Traffic Safety Administration. The Envision Essence offers rear cross traffic alert and blind spot monitoring. The Envision Premium includes front parking sensors, lane keep assist, lane departure warning and forward collision alert. The Premium trim features the Buick Safety Alert driver's seat. The seat will vibrate to warn the driver of possible danger. The Premium II trim level features a heads up display and park assist. It also offers the Safety Alert seat. There is an additional upgrade available at this trim level that includes adaptive cruise control and emergency braking. The 2019 Buick Envision features optional Surround Vision at the upper trim levels. This feature offers multiple camera angles of the Envision's surroundings while driving at low speeds. It offers a birds eye view on the touchscreen. The standard backup camera also offers live action coverage of the rear view of the vehicle and features guiding grid lines. The base engine in the 2019 Buick Envision lacks power when accelerating to pass. The 197 horsepower engine is outmatched by the Envision's size. The base engine gets great fuel economy for the class, but it comes at a price. The optional turbocharged four cylinder is much better for acceleration than the base engine, but buyers will have to move up three trim levels to get access. AWD is also not offered at the base trim level. Most of the advanced safety features are spread out amongst the various trim levels as well. The Buick Envison's underpowered base engine and lackluster handling pale in comparison to many options in this category. The Envision offers a quiet, smooth ride but it lacks driving excitement. This is something that is easily available with other vehicles in this class. While the Buick Envison has a quiet, comfortable cabin, the construction materials fall behind compared to the competition. Most luxury SUVs offer a more luxurious feel and better details than the Envision. The Buick Envision holds its own in one of the most competitive categories of the automotive world. The luxury and excitement of some other vehicles in the luxury subcompact SUV category is at a very high level. While the Buick Envision struggles to provide as posh an interior, or the driving experience of a BMW X3 or a Porsche Macan, it does have some tricks up its sleeve. The Buick has one of the lowest base prices of any luxury subcompact SUV. It gets better than average gas mileage for this class and it offers a competitive warranty. The Buick Envision has many of the best features a quality luxury vehicle like the Lincoln MKC or Lexus NX has. 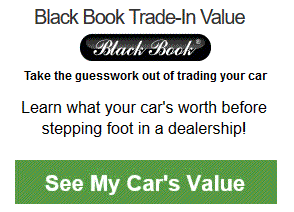 It offers the my Buick app and a quality infotainment system. It can also be equipped with the unique Safety Alert Seat. The Buick Envision makes its mark in the luxury SUV category with a good mix of value and sophistication. 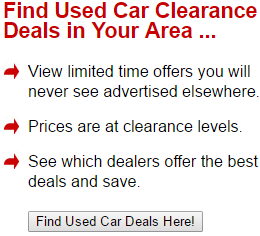 It also provides buyers a lower entry price into the luxury SUV category than any other vehicle. Many buyers will be attracted to the 2019 Buick Envision due to its affordability and refinement. It features a very technologically advanced safety package and infotainment system. It is an economical choice due to its better than average fuel economy and low base price. It also offers a very enjoyable ride. It features a spacious, quiet and well designed interior with lots of optional add-ons. It also allows buyers to upgrade to some of the most desirable options available. The Buick Safety Seat, myBuick app and heads up display are just a few of the available options that make the Envision special. The Envision also offers a peppy engine upgrade and Smart Sense AWD at the upper trim levels. It has a refined image both inside and out and offers great value in a very high end vehicle category.